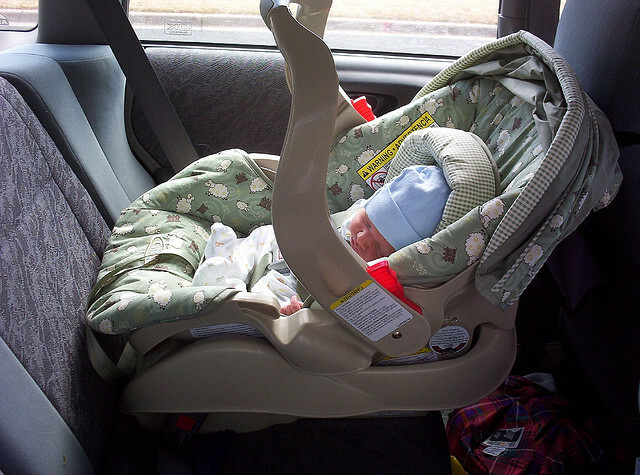 A recent study shows that as many as 93 percent of new parents make a big mistake when positioning or installing their newborn’s car seat on the way home from the hospital. 15 percent of parents did not know how to secure their child in the car seat. 43 percent of installation errors occurred when a car seat was unfastened. 26 percent of installation errors occurred when the car seat was at the wrong angle. 23 percent of installation errors included an unlocked safety belt. 17 percent of installation errors occurred when the infant car seat was too close to the front seat of the car. The above mistakes could result in serious harm to an infant if a car accident occurs. As a new parent, it is very important to make sure that your child is properly secured before leaving the hospital parking lot. Many hospitals, police stations and fire departments in the local area host free car seat clinics. At these events, professionals will be on hand to check the installation of your child’s car seat, and make all the necessary adjustments. You can can also look for a Certified Child Passenger Safety Technician in your area that can help. Your child is the most precious cargo in your vehicle, so take the time to ensure they are buckled in safely every time you get on the road, whether you are going across the street or taking a lengthy road trip. If you or someone you love was involved in car accident in Pasco County, whether your child was present or not, please contact a Pasco County Auto Accident Attorney at Whittel & Melton to find out more about your rights and options. Call us at 727-847-2299 or contact us online.